Angela Merendino, creator of Red Brick Yoga, LLC, turned to the amazing practice of yoga when her mother suffered a stroke in 2009. Ange was looking for something to help her stay strong and healthy both mentally and physically enabling her to take care of her mother. She turned to a steady yoga practice — and it worked! Ange received her RYT 200 teacher training from Melanie Alexander. She continually searches for new growth and training opportunities by attending yoga workshops and events. She is currently pursuing her 500 hour yoga teaching certification through The Yoga Project. She hopes to share her experiences with this new community. A place built to help support and connect people to truth and authenticity all while building a strong foundation. Rebecca is a school librarian by day and fitness professional in the evenings, or early mornings! She has been teaching various aerobics classes since becoming certified through the American Council on Exercise in 2005. She later went on to acquire her certification in personal training and weight loss management, also through ACE. She started teaching yoga in 2009 after completing a Yogafit training course. Rebecca is very passionate about the fitness aspect of yoga. She appreciates how a regular yoga practice can develop muscle strength and flexibility in people of all levels and backgrounds. When she isn't teaching yoga, Rebecca can be found leading many other classes including kickboxing, spinning, and boot camp. Rebecca often trains for, and participates in, half marathons and triathlons. She also enjoys cooking, being outdoors, and spending time with her son and husband! A former YMCA Senior Program Director, Patty has years of experience as a Coach, Personal Trainer, and Fitness Instructor. She has taught Aerobics, Pilates, and Yoga. She currently works as an RN/Health Coach. A life-long Exercise Enthusiast, she begins most days with a Run or Swim. She also enjoys Back Packing, Bicycling, Hiking, Cross Country Skiing, and Yoga. Patty also likes Gardening and maintains several flower beds, a large garden, various fruit bushes, and a small orchard. Kayla began her yoga journey 5 years ago. Her love for the practice grew quite quickly and she found herself searching for a better understanding of the background of yoga. The desire to learn more about yoga led her to complete her 200 hour yoga teacher training with Lynn Rescigno in 2015. You might catch a glimpse of Kayla trying different inversion poses on and off the mat. She hopes to inspire as many students as she can on their own yoga journey. 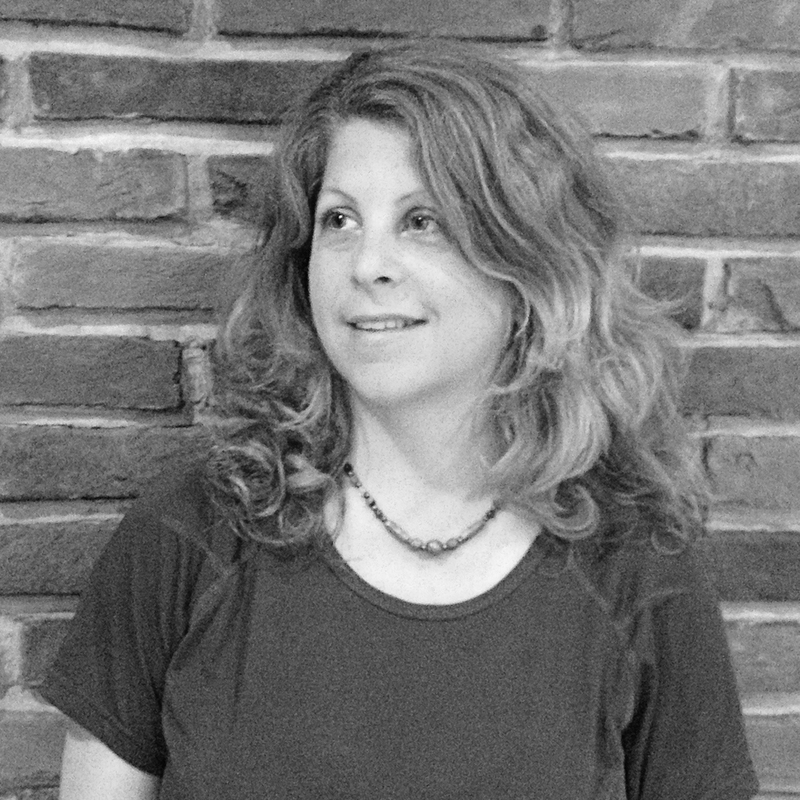 Tracy had been teaching yoga since 2004 and completed herRYT training with Anna Pittman/ Breathworks in Blacksburg, Virginia in 2005. She currently offers Gentle Mindful Movement and Meditation at RBY. Teaching beginners has remained her passion. Tracy loves watching the light go on in a new yogi's heart. She has taught in recovery centers, jails, prisons and women's shelters. Her experience with yoga began while enduring a difficult time. She was seeking a spiritual path and friends had suggested yoga and meditation. Once she stepped onto her yoga mat at The Yoga Center in Roanoke, Virginia I never looked back. It was language of the heart. She strives to share yoga in a gentle, mindful and very accessible fashion - the way she has been taught. It's what made her fall in love with yoga, and with her own life. Jessica has been a devoted yoga student for more than a decade. She feels inspired to share the boundless positive changes yoga has brought to her life with others. At the heart of her teaching is a desire to help students cultivate their own innate strength and sense of wellbeing. Her hope is that everyone who practices yoga with her will carry the mindfulness they build on their mats into every aspect of their lives. 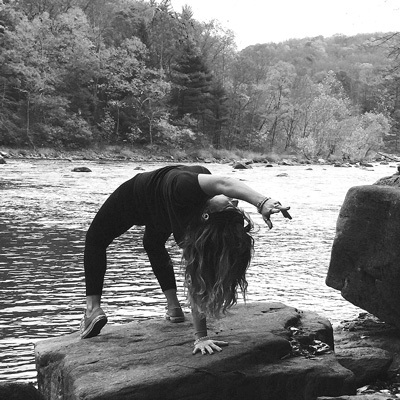 When Jessica isn't practicing yoga, she resides in Ligonier with her husband, daughter and two rescue hounds. Jessica received her RYT-200 training from Red Brick Yoga. She enjoys art, folk music and spends as much time walking in the woods as possible. Her personal motto is: "Keep some room in your heart for the unimaginable." Serafina can remember the power and strength she felt in Tadasana after her first few yogaclasses as a teen in Greensburg. It wasn't until years later that she returned to yoga and found a regular practice at Midtown Yoga in Memphis, TN. Yoga taught Serafina to cope with her sometimes debilitating anxiety, balance her daily life and find happiness through simple acceptance. After completing her RYT 200 with Healthy Body | Peaceful Soul at Inhale Pittsburgh, Serafina realized that her Dharma may have been right under her nose: offering others the tools to improve the quality of their lives through yoga. Join Serafina for a playful but calming class, usually themed to help you find out a little more about yourself in every pose. Listen for a fun playlist and look forward to a long, centering Savasana. After experiencing the moving meditation of connecting breath to movement, Maryanne decided to complete her RYT-200 training at Red Brick Yoga. Her classes combine creative sequencing and a dose of inspiration to send you off of your mat feeling refreshed, nourished and balanced. She also has certifications in Aroma Acupoint Therapy and Reiki Level One. Outside of the yoga studio she loves learning about food as medicine, essential oils and traditional Chinese medicine. She looks forward to seeing you on your mat and will remind you that it is “Yoga Practice – not Yoga Perfect”. Katharina has been a dedicated yoga student for more than a decade and was first introduced to Yoga and Pilates as supplements to her classical ballet training. While attending Indiana University of Pennsylvania where she completed undergraduate studies in Anthropology, Religious Studies, Pan African Studies and Dance. It was her interest in living Holistically and her love of yoga that inspired her to want to share the boundless positive changes the practice creates. In 2016 Katharina completed her RYT200 at Moonglow Yoga under Cassandra Pfaff. She has since completed training with David Lesondak on Fascia; a Kids Yoga Certificate program through YogaFit; a Yin and Restorative Certificate under Katherine Zitterbart; and an intensive in Teaching Yoga and Mindfulness to At-Risk and Traumatized Populations under Kath Meadows, Whitney Ingram, and Kristyn Burr. Yoga, for Sandra, unlocks our capacity for self study. She completed her RYT-200 training at Red Brick Yoga. With an abiding interest in movement as a mode of expression to movement as contemplative search, Sandra finds that yoga culminates what it means to be perfectly at home in one's authentic self. After years of working in Western and Indian movement art forms, she was inspired by teachers at Red Brick. Sandra practices a martial art from South India, where she studied under a master teacher in Kerala, India. Sandra's roots are in Pittsburgh where she has returned after 'growing up' two daughters and a husband. Fitness has always been a large part of Susan’s life. She graduated from Seton Hill with a bachelors degree in dietetics. She is certified in Les Mills Body Pump and RYT 200 teacher training through Ange Merendino at Red Brick. Susan and her husband Scott have 3 wonderful sons that are very active in many sports, especially baseball. Fitness and health is a large part of our family. Susan started yoga with Ange at Red Brick and fell in love with it. She loves how it can heal and expand your current level of fitness. She looks forward to sharing time with you and your practice.